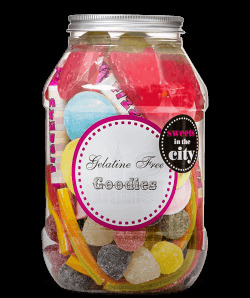 Need a thoughtful gift for your gelatine-free friend? 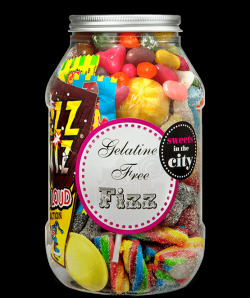 If so, you're in luck - we've got lots of yummy gelatine-free sweets to choose from here at Sweets in the City. Remember, all of our sweet gifts can be personalised with a message of your choice. Whether you're saying thank you, wishing your friend a happy birthday, or congratulating them on a job well done, we can help you to say it...with sweets!